Remember Grandma’s old gas fire? Cooking on that solid old oven? Or even gas lights in your caravan? See these and many other historic treasures from the world of gas at Britain’s National Gas Museum. When you visit the world’s largest and most significant gas history collection, you’ll discover the story of gas. See vintage working gas lights, learn how gas was made from coal and discover weird and wonderful gas gadgets like the gas radio and the gas hair-dryer. Smell the unique scent of coal gas. Learn about how gas became one of the world’s most important energy systems; providing lighting, heating and cooking food in millions of homes. Visit to find out about the early days of gas when it was the brightest light of Victorian Britain. Learn how gas made from coal lit the nation’s streets, homes and factories. Discover the enormous effort that converted the nation’s gas appliances from town gas to natural gas found under the North Sea, piped nationwide as High Speed Gas. Browse a huge and nostalgic selection of vintage cookers, heaters and gas fires then enjoy our 1920s ‘all gas kitchen’ with its gas curling tongs and hair-dryer, and see other wonderful inventions – even a gas radio. Whether you’re an industry professional or a family looking for a day out, we have something for everyone. Entry is free and free parking is available behind the museum. For more information; check out our Find Us page. 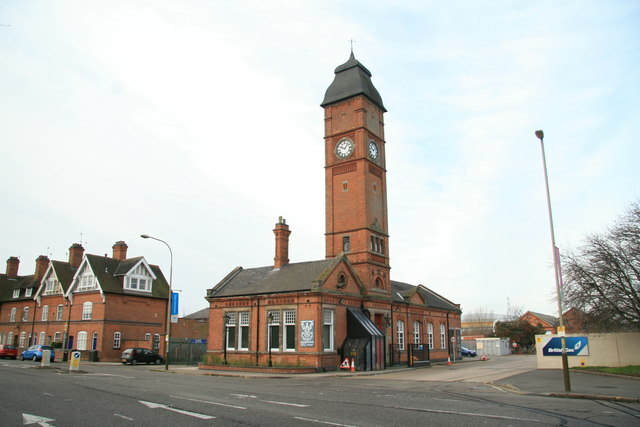 Built in 1870, our building is the original gatehouse of the Leicester gas works. Look out for the clock tower to find us easily!